Possibly the most important impression an Engineering Firm or Construction Group can give is that they use the most modern tools and are up to date on best practices. Does your website, especially when viewed on a mobile, relay this impression in the first 5 seconds someone is on your site? Inspire Confidence in Your Engineering or Construction Company without saying a word. These industries are so “ripe for the pickin”. Rarely do we ever see a legitimate, modern website for a Construction-focused Company. Rarely does an Engineering Firm’s logo or website subliminally say, “We are real people. We are experts. We are winners. You want us, and it will be a great process.” That’s what we do… humbly. Whether it’s your process, your experience, your tools, your connections… there are some things that make your company special. We work with you to dig deep, create the message, and then bring people TO it, not just wantonly blast it out. We invite you to check our sample sites here, and even call on some of our clients to see how they experienced JCI. Imagine being a fly on the wall in the board room. They are meeting to go over the proposals from your company, as well as a handful of others. They fling each proposal up on the screen and go through it all. That moment, when they see each logo and brand, is when something inside, something emotional happens and conclusions are made. Branding your construction company or engineering firm can make or break your chances in that board room. How do people feel when they see your logo? Your site should be more than a brochure, it should be a resource. That resource should be usable by men and women in the field, not just those in the office. With a JCI-built responsive site, on-site workers can go to the site, navigate quickly to the information they need, share it, and get their job done… all without pinching and zooming, scrolling right to left… all without hassle. 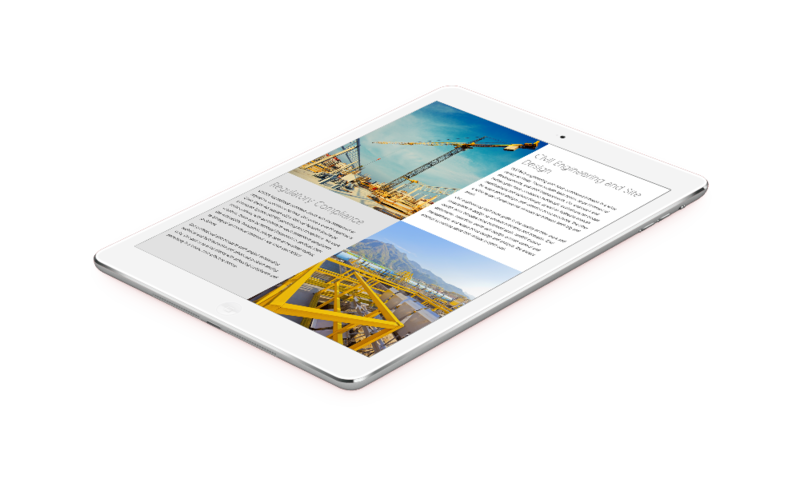 We stay up to date on responsive website trends for engineers who don't have time to. Most of our heavy-hitting clients of global influence aren’t here in Redding. We love using our expertise to help our local economy, but our higher end sites are typically huge overkill for a locally focused company. 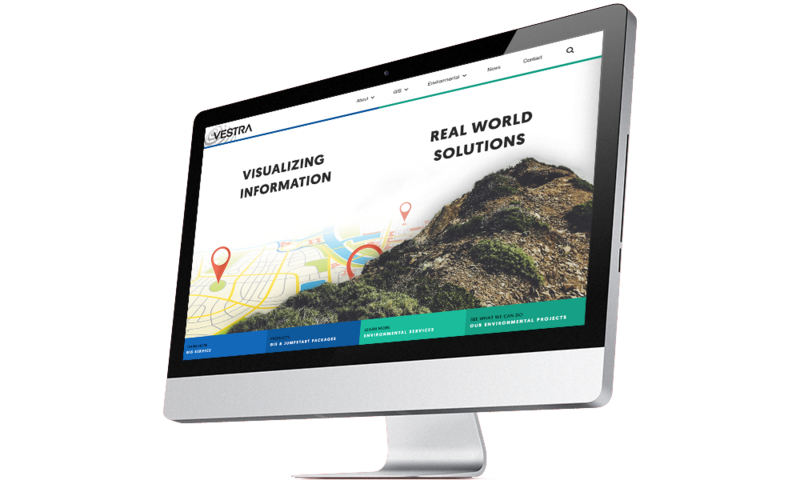 Well, VESTRA is a giant in GIS (Global Information Services) and just happens to be here in our back yard. Admittedly, it took a moment for us to realize really what they were looking for, but when it ‘clicked’, we rolled up our sleeves and threw out all the stops. We are very proud of this new site, and love that a Redding web designer was able to step up and bring a Redding-based global company exactly what they needed. This site is a perfect example of that happens when a hugely successful company comes to us wanting "just a basic site". This is, indeed, our 'basic site'. So many of you want to know what it looks like when you call or email in. We're still very proud of this... but even more that a company such as Hasson, Inc. chose JCI Marketing for their online solution. Thanks for everything, Bob and company. If you only look at one site in this list, you should check this one out. This site walks the line of “the WOW Factor” and “over the top”, and we think we nailed it. So does Stream owner Chris Hamilton and his management team. As soon as you open the home page, the image we created hits you with a manly, bold, slightly gnarly glorification of the industrial construction industry. Then, as you start to scroll, notice how the parallax scrolling over the truthfully and unexpectedly beautiful imagery of the industry seem to just come and come. We love the unashamed badassery. A truly global company, based out of and ran from Los Angeles, California and Tel Aviv, Israel, Pressure Profile Systems manufactures some of the most advanced sensors and robotics you can imagine. Actually, because of our involvement in this project, we know some pretty amazing things coming down the line that you will indeed be using. Can’t tell you here though. You have to call us. Anyway, this site is huge, and even has an integrated price quoting system dependent upon what the visitor needs to build. High tech. S.T. Rhoades specializes in city, county, state, and federal construction projects all over the Western US. All employees work to provide high-quality work and have a high value for honesty, integrity, and excellence. No matter how big or small the job, S.T. Rhoades will do whatever it takes to ensure that it gets done right with a strong focus on satisfying customer needs.